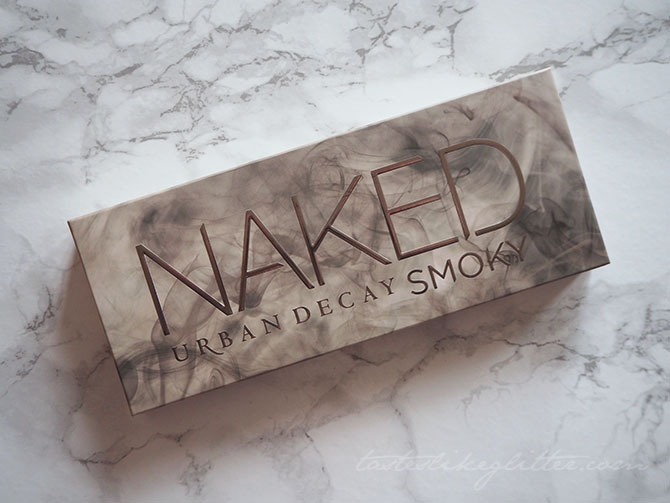 Urban Decay Naked palettes have a little bit of a cult following. 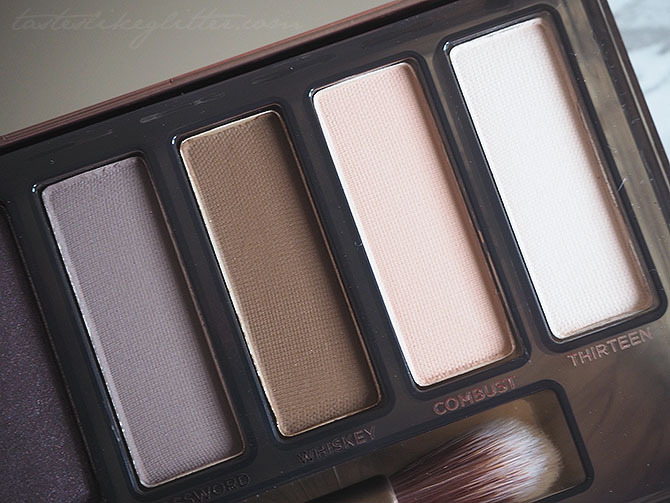 There was the original Naked palette followed up by two successors. 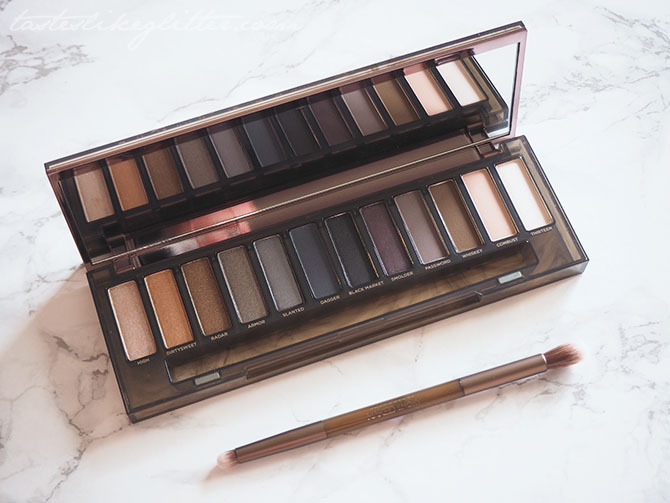 Then came the Naked Basics palettes both featuring six matte shades. 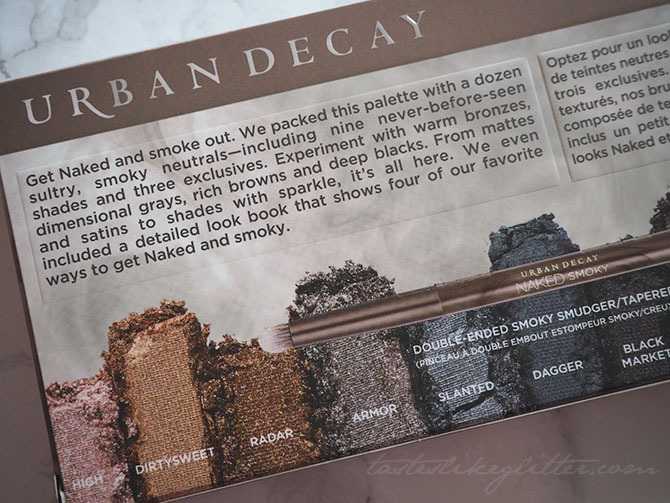 Last summer there newest release was the Smoky palette and it seemed to send Urban Decay lovers into a bit of a frenzy. It was a step away from the gold and rosey tones from the predecessors. As it wasn't a limited edition release I didn't rush out to get it straight away. Not so long ago I had a John Lewis voucher and I decided to spend it on this, meaning I got it for only £13.50. Bargain! 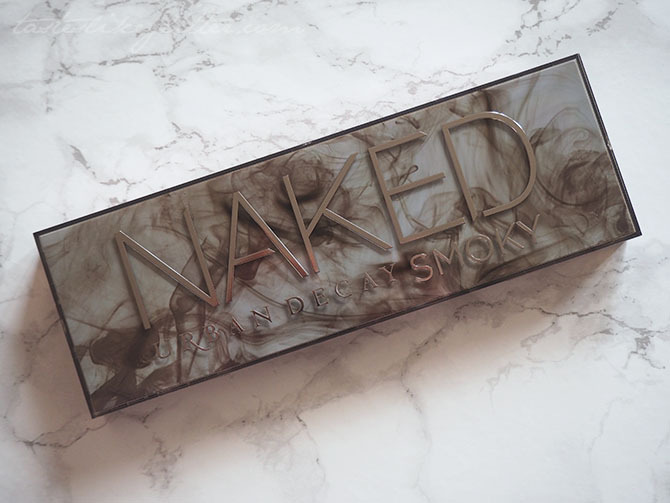 The palette is sturdy and made out of plastic that is slightly translucent with a smoky finish to it and a magnetic closure. The inside of the lid has a sizeable mirror, perfect for if you're travelling. It also contains a double ended brush with a tapered crease brush on one end and a smudger pencil brush on the other. Following on from the theme of the palette, the brush has a smoky translucent finish to the handle. The palette itself contains twelve shades, nine of which have never been seen which is always nice! The remaining three are exclusives from past palettes. 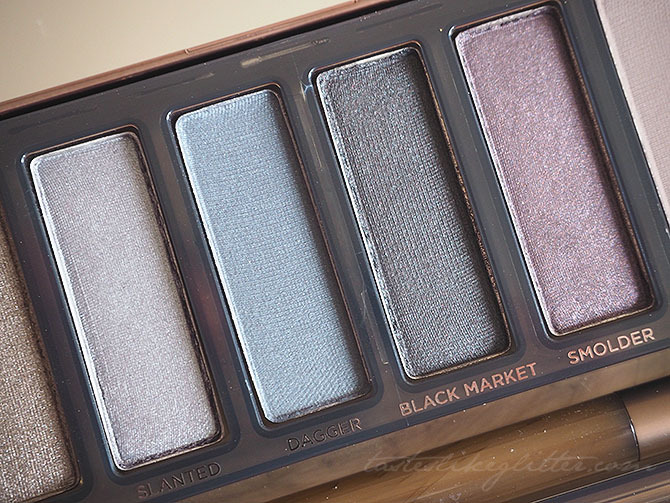 It has a range of mattes, satins and super shimmery shades. 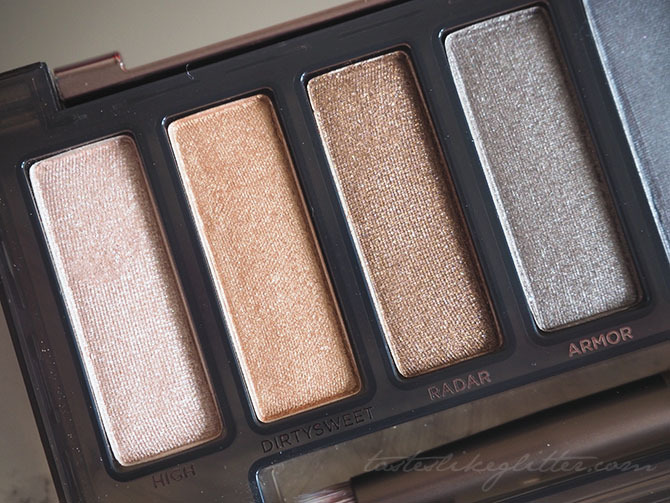 The shimmery shades have the usual buttery soft finish that Urban Decay are known for. I find the mattes a little on the drier side but any eyeshadow with a matte finish tends to be. They all have fabulous pigmentation along with blendability, though again the mattes are a little drier but that's to be expected. Overall I think the palette has a great range of cooler tones along with a few warmer ones thrown in for good measure. I love a good smoky eye so this selection of colours is perfect for that as I tend to gravitate more towards the silvery grey tones. I can't wait to have a more indepth play with this and seeing what I can create.